Hi everyone! I missed you sooooo much! Well, I still can't blog much because I am very busy with work. I just want to announce the winner of my Makeup Giveaway courtesy of HBC. When do you feel most beautiful? "I feel most beautiful when I know many people care & love me the way I am.Thus, being happy & loved are what really makes me feel most beautiful. I may not be one of the prettiest girls in town but I can feel I am one because of my friends and loved ones who are always there to cheer me up & boost my confidence. It's not about physical beauty that makes me feel most beautiful but my inner beauty which naturally comes out when I feel happy & confident about myself." My boyfriend and I (yes, he helped me) chose her as the winner because her answer is simple yet very meaningful. I totally agree that if you have a great support group with you, you will definitely feel beautiful. As for me, my family and my boyfriend help me to be more confident and be more proud of my physical appearance. It is really true that if you feel good within yourself, it will definitely be reflected on your appearance. Congratulations to the winner and thank you for supporting my blog and HBC as well. Please wait for an email from HBC for the instructions on how to claim your prizes. You only have 48 hours to respond. 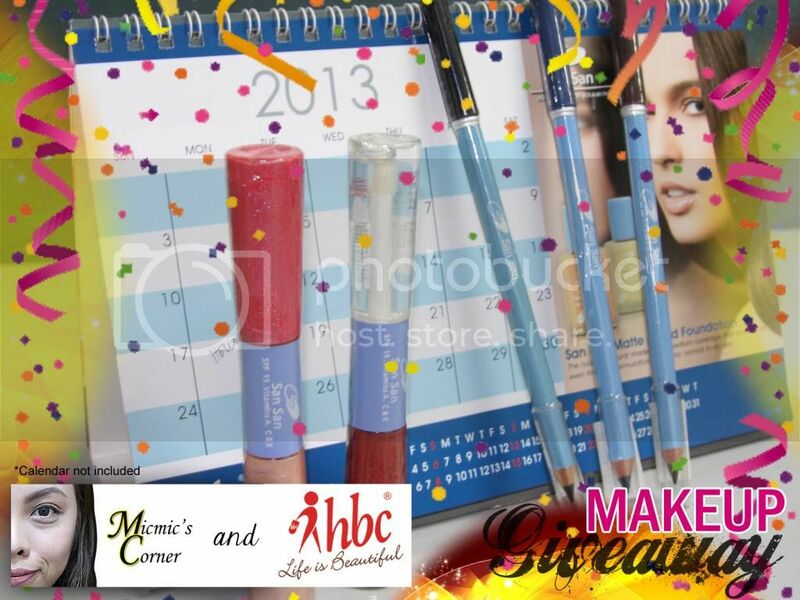 Thank you so much HBC for sponsoring this giveaway. I am looking forward to more collaborations with you.